I am taking a little break from the Nordstrom Anniversary sale coverage to share some details about our week in SoCal for 4th of July! If you came here today looking for sale stuff, you can see my entire haul in Thursday's post here and then I styled my new favorite jacket a few ways in Friday's post here. Otherwise, let's get into vacation mode! 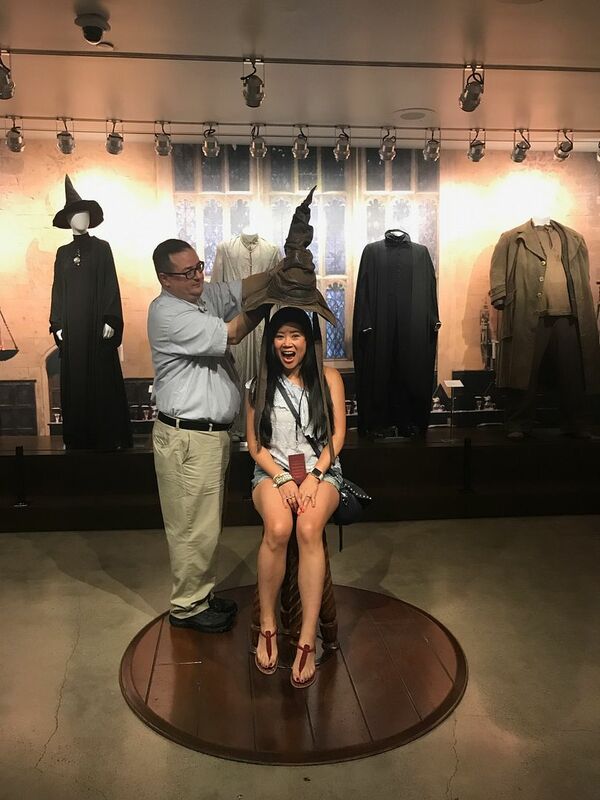 I had to dedicate an entire post to this studio tour because we saw so much good stuff, I couldn't imagine just breezing over it with only one or two photos. 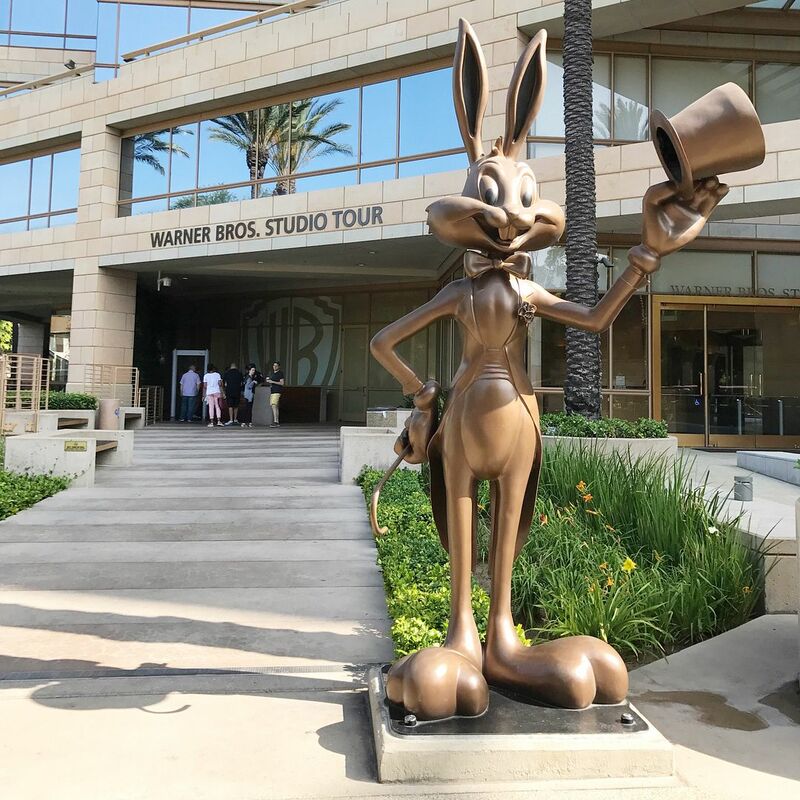 There were a couple of options for the Warner Bros. studio tours: a 2-hour version and a 5-hour version that included a continental breakfast and a 3-course lunch. 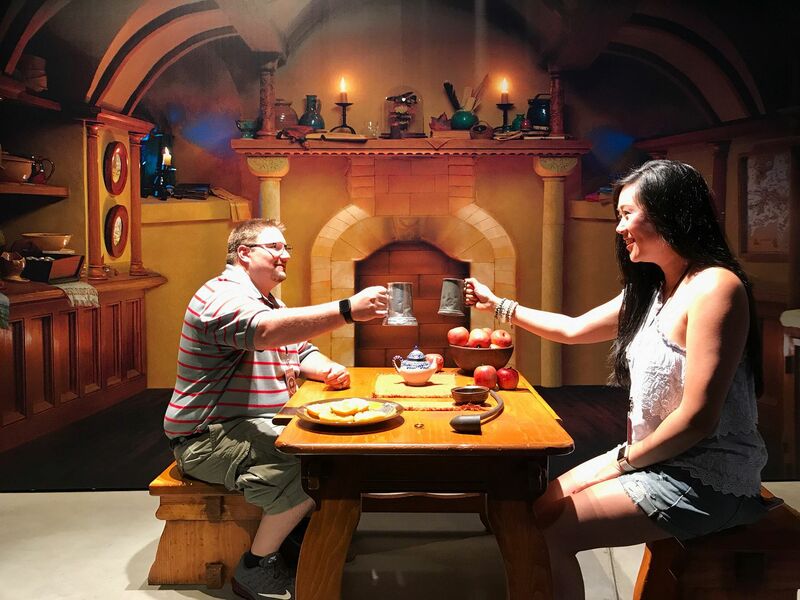 The husband's family was spending the entire day at LEGOLAND, so we had the entire day to kill, and on top of that, I've really really really been wanting to do a studio tour like this. Behind the scenes stuff is super interesting to me, and I am also such a big Friends fanatic , so I was ready to soak it all up! So yes, we ended up doing the 5-hour tour and it really was worth every penny. The tour started at 10am, so we planned to arrive no later than 9:45am. We overestimated traffic and even had time to have a proper sit down breakfast at Another Broken Egg beforehand. There was a little bit of a line to get in, but once we were checked in, we grabbed our free coffee that came with our package and hung out until they called our tour to line up. Everyone was given one of these cards, which separated us into our respective tour groups. They called all of us to line up based on the letter card they gave us and filed us into a small theater. The deluxe peeps got to sit in the first couple of rows. 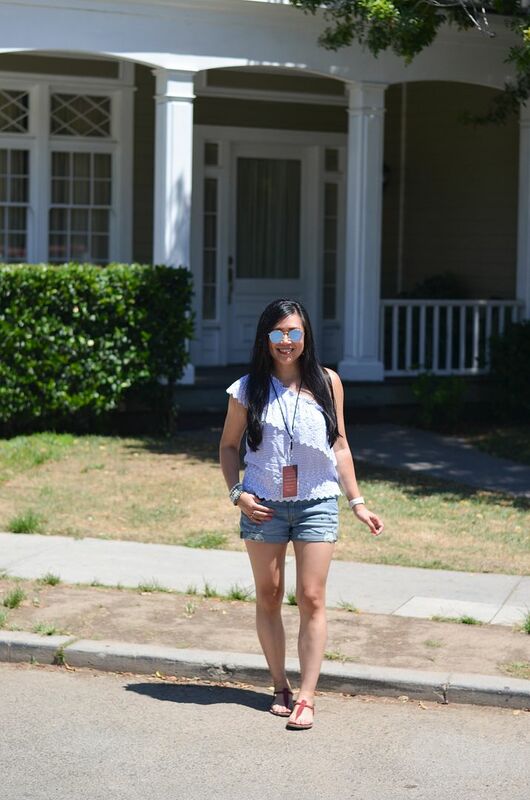 The presentation was short, just giving a little bit of history behind the Warner Brother Studios, share some snippets of all the shows and movies filmed at these studios, and when it was over, each of the tour guides came in to lead their tour members to their carts in which we would be driven all day. Before we went very far, our tour guide, Amanda, wanted to get a feel for all of our preferences so she could make sure she tailored the tour around us. I thought that was awesome about her - she made sure to cater to any big mega fans of certain shows. 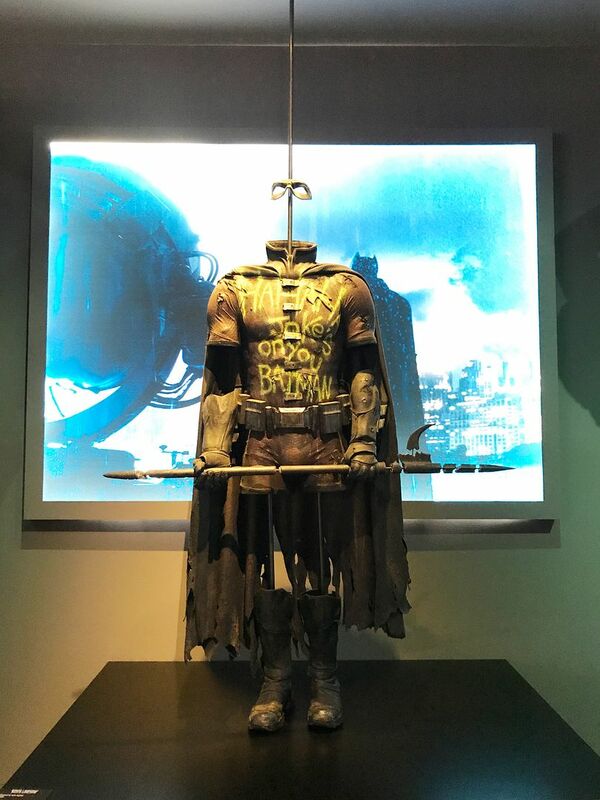 That said, I got the impression that this tour is pretty flexible and so long as the specific studio was available for viewing, the tour guide could really craft the agenda based on what the tour members wanted to see. The property is so massive. I know we only saw a fraction of it, and we were there for 5 hours! I can't even imagine all the stuff that you would miss out on for the smaller tour. Our first stop was this jungle area which has been the backdrop to so many things like Pee Wee's Big Adventure, The Little Rascals, ER, and Jurassic Park. 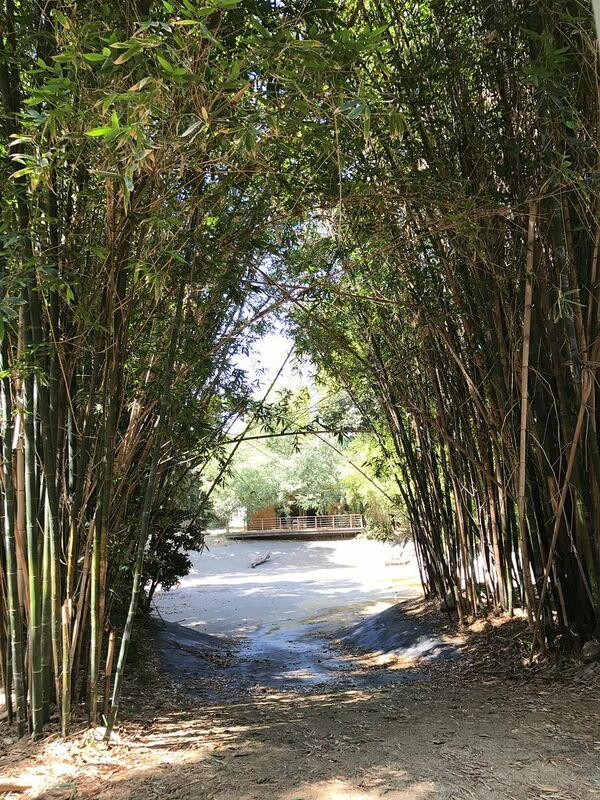 There's bamboo, so they can easily transform it in to places like Thailand or Japan. This is looking into a lagoon (which is currently NOT filled with water clearly). I mentioned Jurassic Park was filmed here. Apparently that one jeep chase scene was filmed around this lagoon - they were driving on a super short strip of land and they looped all the footage together as if they were driving in an actual large jungle. Anyway, it's just amazing how much they repurpose every inch of the property depending on what they need to shoot. There were a few "neighborhoods" that we drove through. Some of them were just front facades, but others were fully enclosed and used as production offices for some of the shows filmed at the studios. 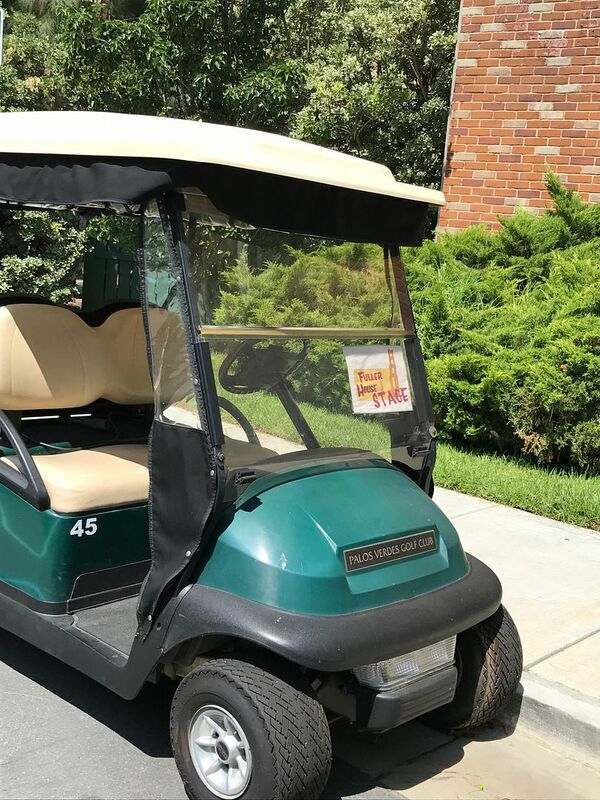 I had to take a photo of this golf cart outside of one of the production offices because it's used by the Fuller House cast and crew. Speaking of Fuller House! Some of the coolest things we saw on the tour, I was not able to take photos of. For the most part, anything that was outside was free game to photograph. But the handful of studio sets we got to see would not allow photography or video of any kind. So you will just have to trust me that it was awesome! There were a few Fuller House fans on our tour so our tour guide made it a point for us to pop into their studio. She explained that all sitcom studios pretty much look the same. There are the 2-3 main sets set up side by side in series. These are usually 3 sided so that it is open for the live studio audience to be able to see. The Fuller House set was set up with the living room all the way to the left, the kitchen in the center, and the "backyard" to the right. 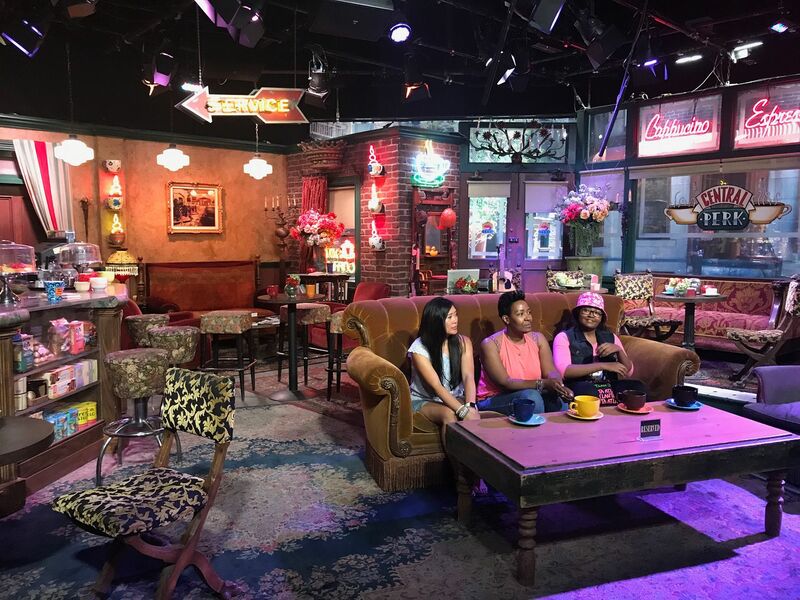 Although the couch was the original couch from Full House, the rest of the set was re-made to match the original. And it looked 100% the same! Surreal seeing it all in person! There were a few stops along the way that were self-guided. Meaning, she would drop us off to wander around with a designated time to meet her back at the front door. The first place she took us like this was the museum. The first floor was filled with all the super hero costumes and such and the second floor was dedicated to Harry Potter. I took a million photos in here because the costumes were amazing, but I'll spare you all of those details! And I totally forget which house I was sorted into, but it was fun nonetheless to go through the exercise! 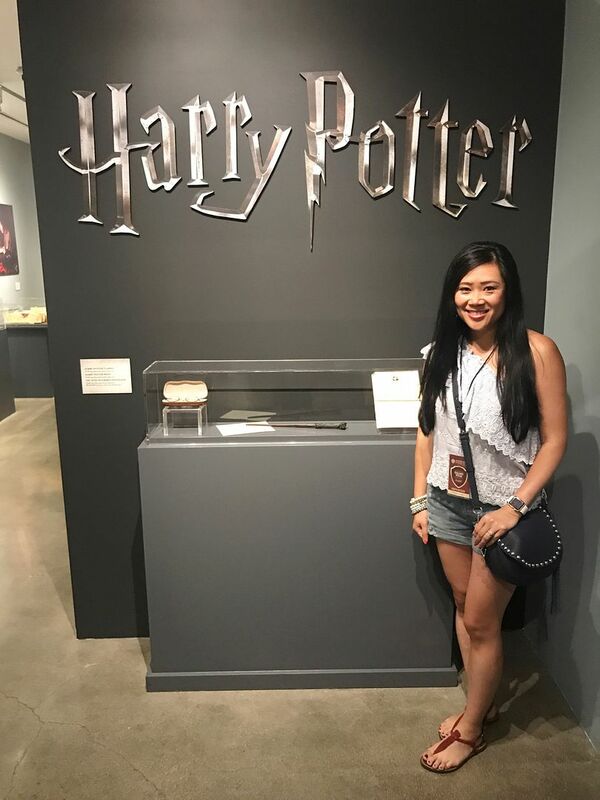 Having just been to Universal Studios last year and riding the Harry Potter ride, it was cool to walk through the Harry Potter museum and see all the memorabilia through another lens. 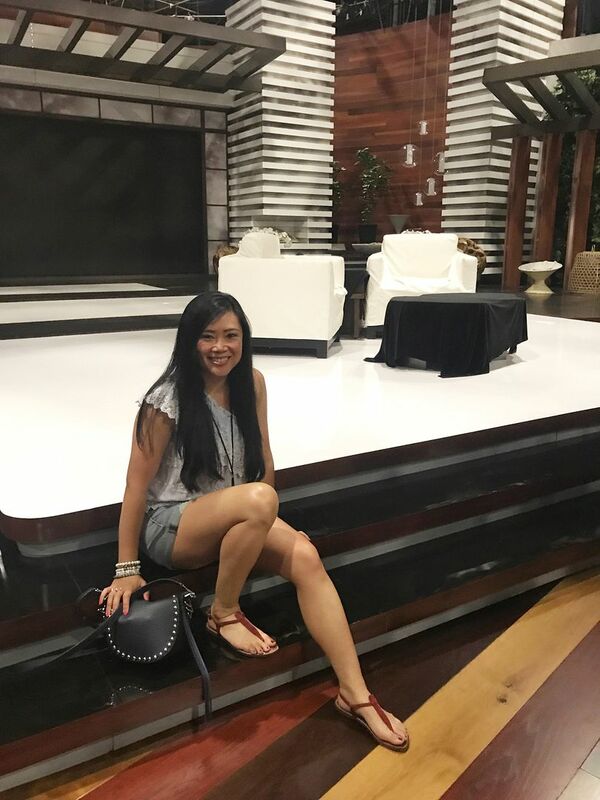 I learned that it is absolutely free to get tickets to be in a live studio audience, though as you can imagine, they can be difficult to get and are usually scheduled a month or so before the show is supposed to air. The website is tvtickets.com if you are interested! The only show in active production right now is Fuller House, and I checked, they've been sold out! I would love to see a live taping! She stopped in front of the cafe featured in La La Land so we could take some photos. As we were parked here, Shanola Hampton from Shameless just happened to be walking around the corner. I personally do not watch Shameless, but there was a mega fan on our tour who was silently freaking out as she was walking by. Shanola was awesome and so friendly though and said she shouldn't freak out because she was about to take a photo with her! She also apologized for having blue teeth because she just had a slushy and requested that she put that in her caption so her friends would know seeing the photo of them on social media. Ha! I had to laugh. It was funny though because we had asked the tour guide if celebs often walk around and she had told us no, not really. And of course, Shanola comes walking around the corner negating what she just told us. She also mentioned that one time while having lunch with her tour, Justin Timberlake happened to come in for a lunch meeting and sat right behind them. CAN YOU IMAGINE?!? I WOULD PASS OUT. Seriously. Ok, so back to our tour! Another stop was the car vault which the husband really liked, needless to say! 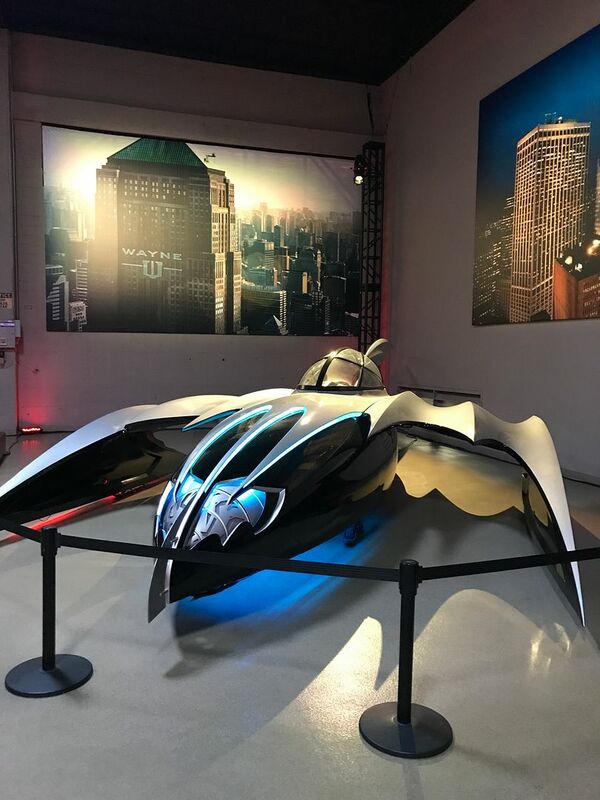 It was exactly as it sounds with vehicles from Batman and Suicide Squad. The Bat Signal was in here, too! This part again, was self guided. One of my favorite stops of the tour was the Foley Stage. (Unfortunately no pics allowed in here.) When you walk in, it looks like a random storage room. Two sound actors work in this room in addition to their mixer in the sound booth. They are given clips from TV shows and full length movies and their job is to simulate sounds that get layered into the footage. For example, they showed us this clip of a man running through the woods carrying a satchel. All you could really hear was some dialog and his heavy breathing. The sound artists work behind the scenes to replicate sounds of running feet stepping on leaves and twigs and the sound a bag would make while bouncing against someone's body while running. Those sounds bring life to the footage and really pull the audience into what is happening on screen. They said it takes about a day or so to complete this for a TV show and up to 24 days to do this for an entire feature film. They slice stalks of celery to simulate someone's head getting sliced off! It was all fascinating! We also got to tour the costume room and the prop house. I use the term "room" in regards to the costume area loosely. It was definitely more of a warehouse filled with thousands upon thousands of costumes separated by time period and genre. There was a whole rack, for example, of fat suits, sailor suits, renaissance outfits, etc. Everything is bar coded and cataloged so they can easily be found and checked out much like someone would check out a library book. Our tour guide did mention that many of these costumes are for secondary roles. Costumes for more iconic characters are typically stored separately - like Monica's fat suit from Friends for example. They wouldn't re-rack this for someone else to use. The prop house wasn't as big, but worked in a similar way. Everything is cataloged and can get checked out by whatever production needs them - it doesn't even have to be a Warner Bros production. There were "hold tickets" sprinkled everywhere which was basically a certain show or movie calling dibs on that prop for future use. While we were allowed to take photos inside the prop house, we weren't allowed to take any photos of any of the "hold tickets" since sometimes that prop could be a plot spoiler! We were able to see two more studios, one of which being Ellen. Ellen is the only studio at Warner Bros that allows you to take photos inside. We couldn't physically step on stage, but we were at least able to take pics at the steps of the stage. Justin Timberlake has been here a few times, and that makes me extra excited! It's funny how fancy these sets look on TV, but they're not as fancy in real life! Still exciting to be here, don't get me wrong, but they are so much smaller in real life! The last set we saw was for The Fosters. I had never heard of this show before, but it was still great to see. She wanted to make sure we saw this type of single-camera set. Since there is no live studio audience, this legit looked like a fully enclosed building. We were taken to the inside of the school and saw classrooms, offices, and a courtyard. There was actually only one classroom but it had 3 different doors to get into the room, so they could arrange it so it looked like a different classroom every time. Pretty genius! You never think about all the strategy that goes behind filming! The tour officially ends at Stage 48, which is an interactive Script to Screen sound stage. Basically the tour guide dropped us off here so we can complete a self-guided tour at our own pace. If we wanted to stay there 10 minutes or 2 hours, it didn't matter, we could do as we pleased. There were carts coming periodically to take people back to the starting point of the tour when they were ready to leave. The gift shop was also here as well. You had to physically walk through the gift shop in order to leave - so smart! All the Friends stuff was here, so this was all super exciting for me! I say this, but there were other Friends things we saw along the way - like the house where the "Prom" video was filmed, the park where Rachelle and Phoebe run, the "dorm" that Ross stood outside of when he broke up with his college-aged girlfriend... there was so much! I loved it! I wish we could have been here while the show was still in production! I volunteered to do a little Friends taping. Three of us read lines by Rachelle, Ross, and Joey (I was Joey!) and they dubbed us into a scene with the real Monica and Phoebe. I was pretty good if I do say so myself! I wish we had the option of keeping this footage. 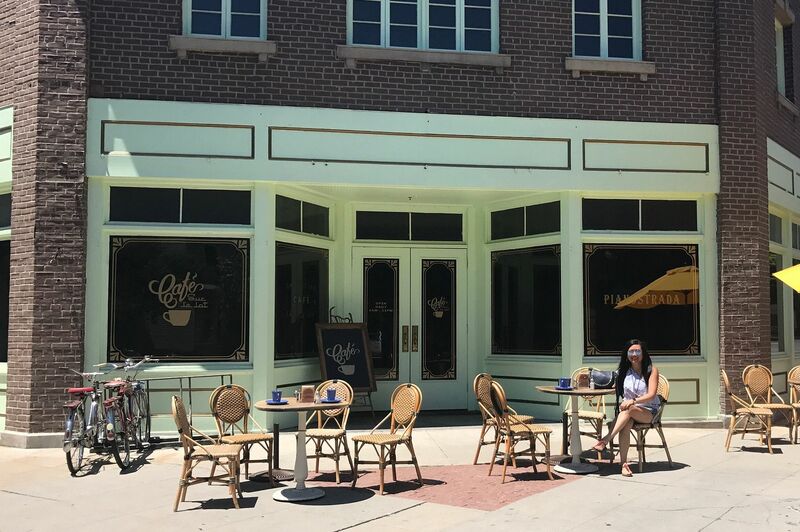 While this is clearly Central Perk, it's not the actual studio where the taping took place. But that's ok, I will take it! So many other people have this same pic, but it still doesn't cheapen the fact that I finally got to see this in real life!! Friends is seriously my most favorite show ever. So many good lines and memories from this show. Sigh. And here is a proper photo of my outfit for the day. I'm standing in front of the house where the Friends prom video was filmed, btw. It was hot and I knew we would be doing a lot of walking, so shorts and flat sandals were definitely a good life choice for me this day! I had a crossbody bag with me, too, which worked very well. All in all, the day went really fast! We finished up at about 4pm, and I can honestly say I would have been game to see even more! Our tour guide was the best! 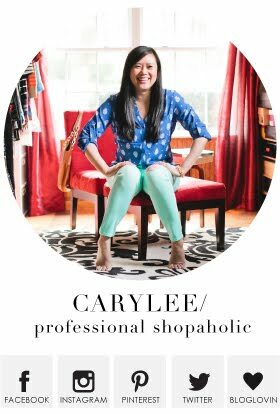 She was super knowledgeable about anything and everything and I really did love the way she catered to what everyone liked. There is a minimum age requirement for this tour and I could see why. It really wouldn't be interesting to a toddler-young kid in my opinion, unless they happened to be huge fans of the shows in production. There's so much history at the studios that I don't think you can appreciate unless you are older and have that knowledge of the history yourself. I hope that makes sense! Also - unlike Universal Studios - there are no amusement park rides here at all. It strictly is a studio tour. Alright! If you've read every word of this, thank you! Clearly I like to use my blog as my own personal diary and I wanted to capture the details so I can remember it later on! 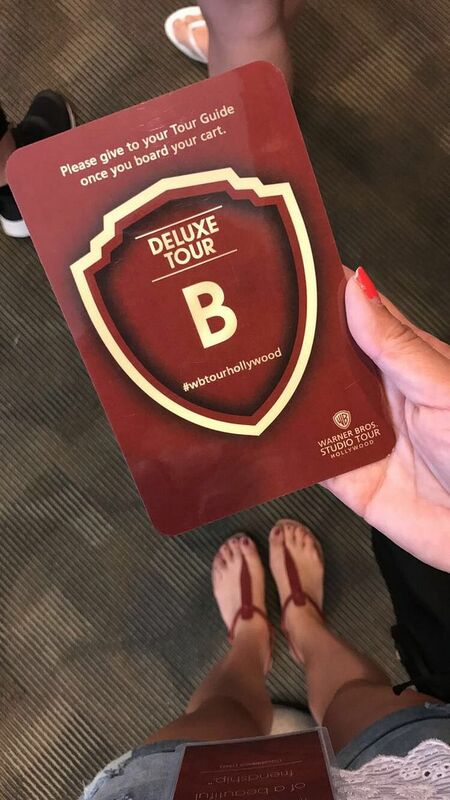 The short story is that the deluxe tour is definitely way worth it! The food was really good as well - we had chicken, salmon, pasta, veggies, potatoes, fruit, cookies, and pastries! Needless to say, we were well fed, too! 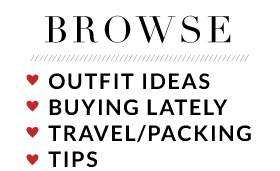 Oh, before I go - there is a $250 Nordstrom Gift Card Giveaway happening now through Thursday. You can enter up to 20 times in last week's post here! 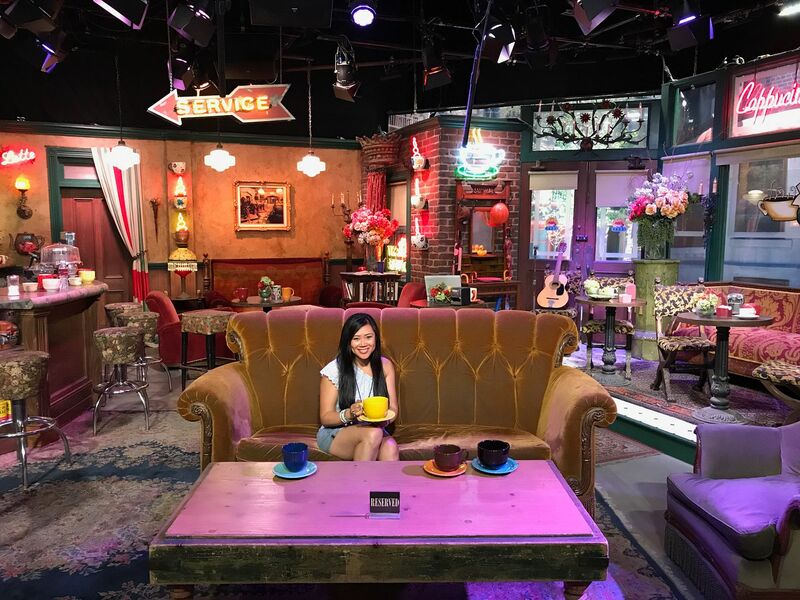 Oh even though it's just a recreation and not the real friends set, that would still be a very cool place to visit! I watch that show so much, definitely one of my favourites! :) Sounds like you had a really fun day. Oh, that looks like such fun!! What a fun tour! 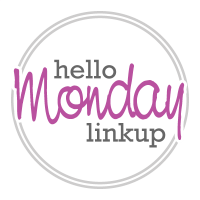 Thanks so much for sharing and for the link up! Great post!That had to be a great time! Peace! Wow! Thanks for the tour! I read every word, I would love to go there someday. I pinned it to my bucket list! So glad you had a good time on your tour! We might need to do this tour next Spring Break. I'll have to check the age requirements but I think my kids could handle this and we kind of want to stay local-ish next year. What an iconic place! Looks so cool! Okay this looks like so much fun! So many bucket list shows! It looks like you had the place all to yourself. 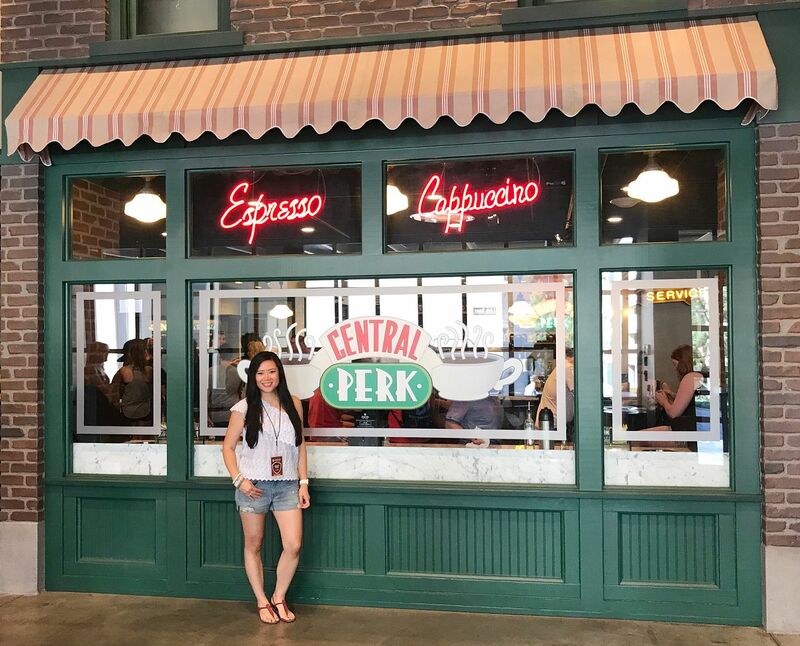 I think my daughter and I would have a ball seeing all those and especially Central Perk. We're huge Friends fans too. If only JT had shown up while you were there. I'd pass out too. Wow, what a fun way to spend the day! I have lived here my whole life and have never been on a studio tour but I'm wanting to fix that! I love Shameless so I would probably freak out over seeing shanola ;) And friends? I mean come one! That has got to be the best show in modern times. 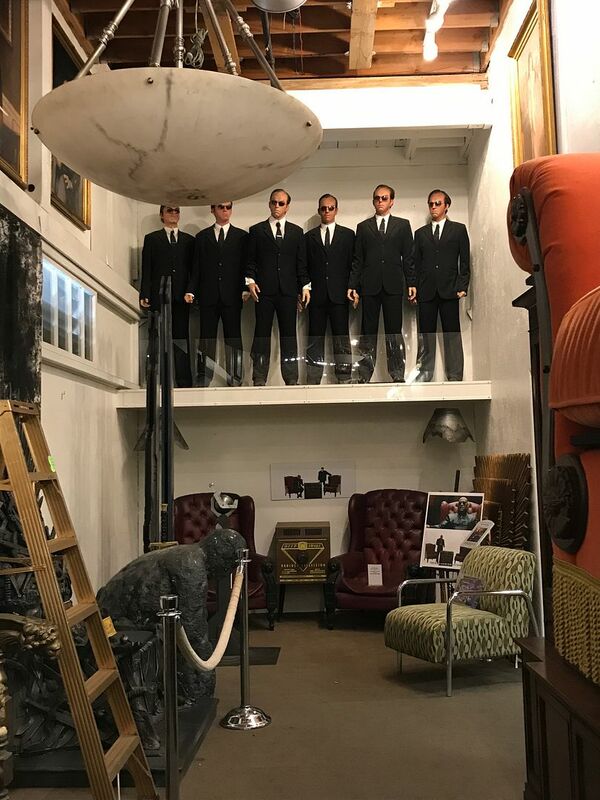 This studio tour looks so fun! I would have wigged with all the friends memorabilia! Loved this post and you looks! Okay I NEED to do their tour one day! 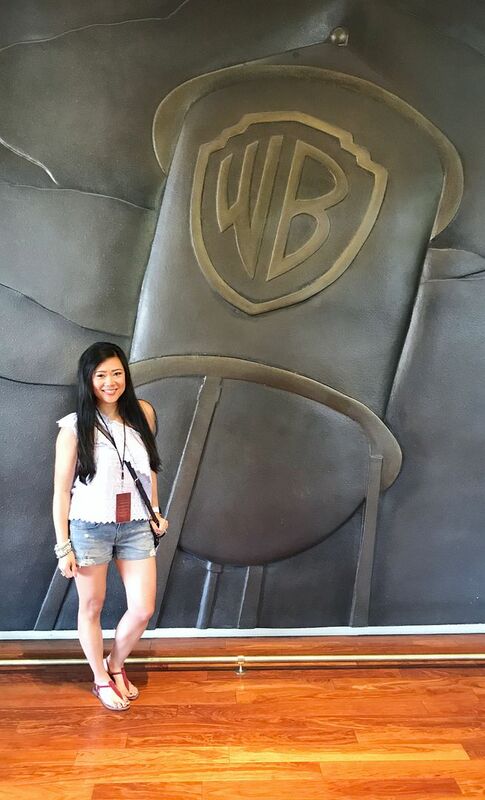 Tour through Warner Bros. Studios looks amazing on your pictures. I want to do it one day as well. Thank you for organizing your link up, I joined. Oh my gosh, I love this! You left out the food.... how was the lunch?! Also I appreciate that you mentioned that there is an age minimum. I'm in LA quite frequently while Jon works but I always have Adelaide with me so looks like we'll be waiting a few years for the tour. I have tried multiple times to get tickets to Ellen with no luck! I should have taken pics of the food! It was amazing though. Chicken breasts and salmon and pasta with salad and potatoes and veggies. Plus cookies and pastries and fruit for dessert. It was all very impressive and worth the money and convenience!